Matt is admitted to practice before all Indiana and Washington state courts; the U.S. District and Bankruptcy Courts for Northern and Southern Districts of Indiana; and the U.S. District and Bankruptcy Courts for the Western District of Washington state. 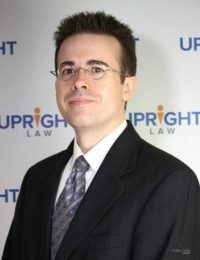 He earned his Doctor of Jurisprudence degree, with honors, in 2002 from the Indiana University Robert H. McKinney School of Law in Indianapolis. 17 years since Matthew Conrad was first licensed to practice law.